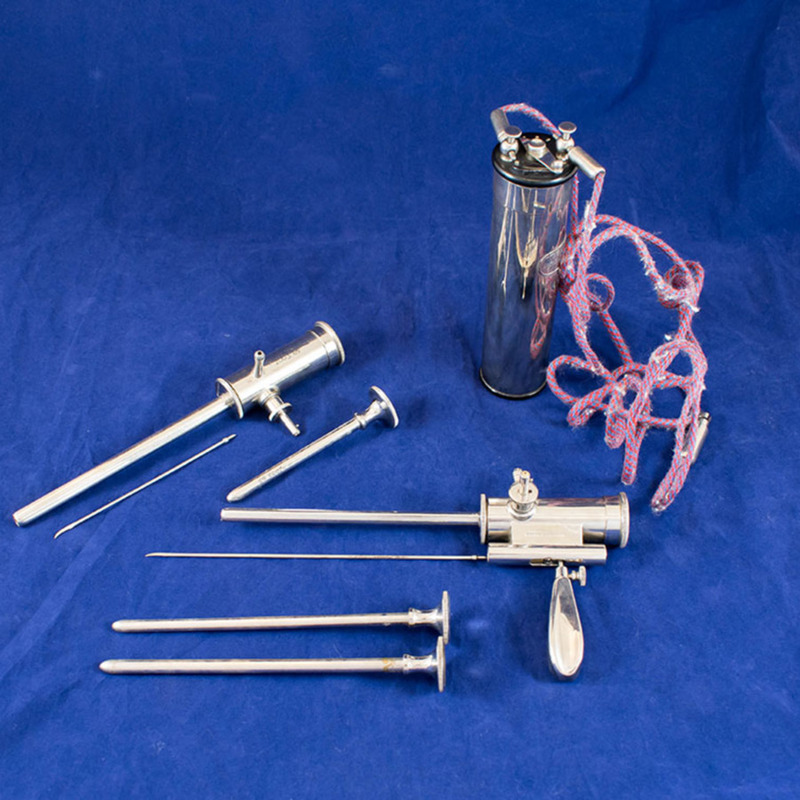 Urethroscope in case with one operating urethroscope, one for examination, three obturators, two knives, and other smaller instruments. 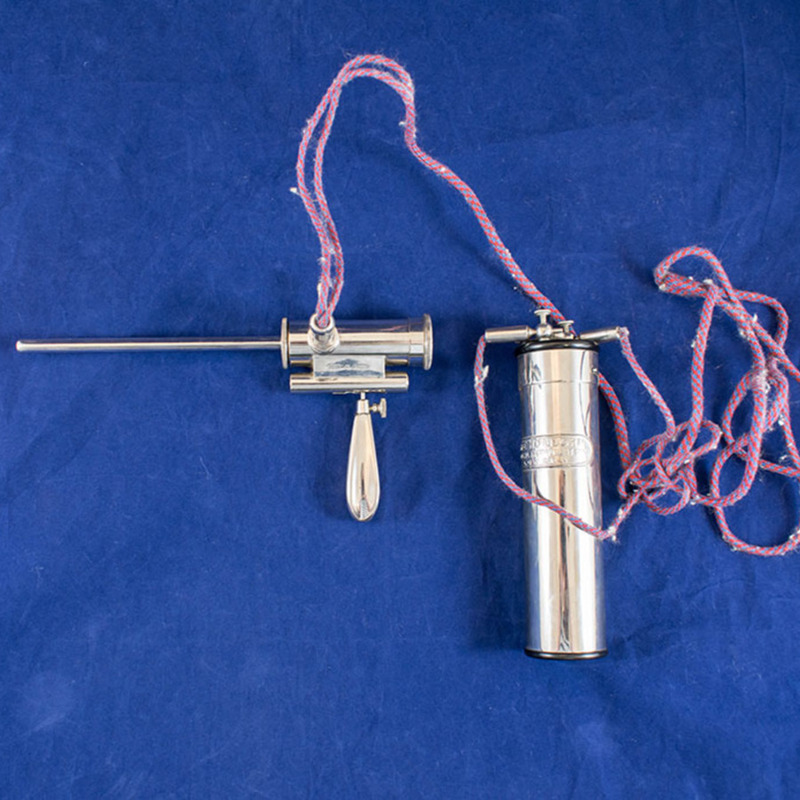 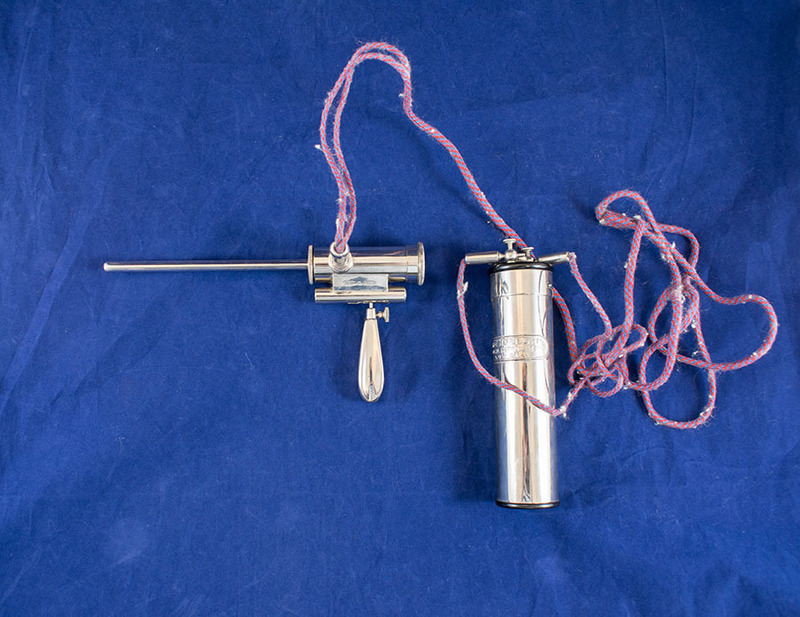 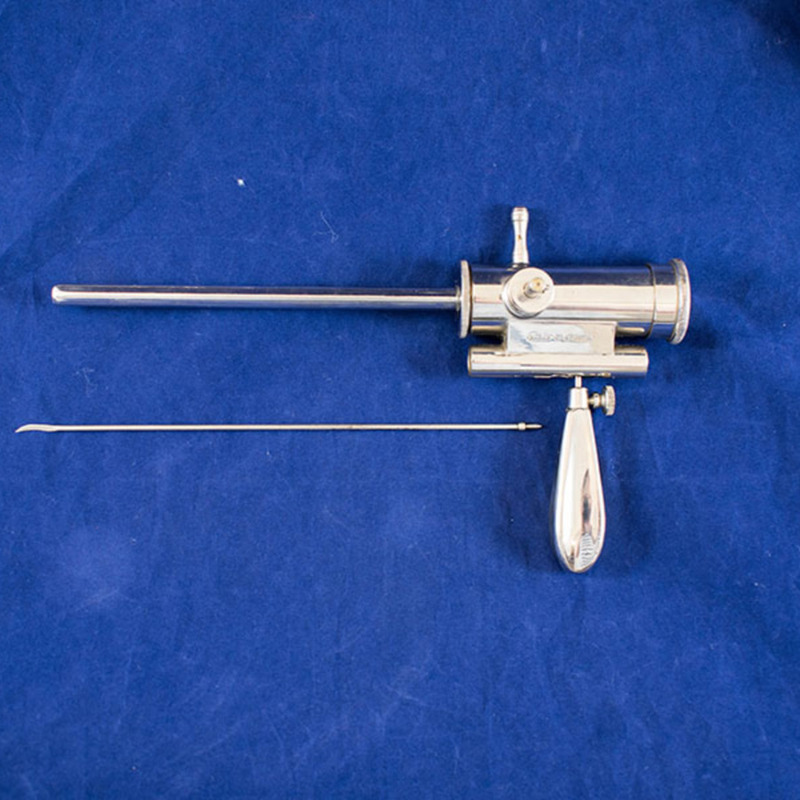 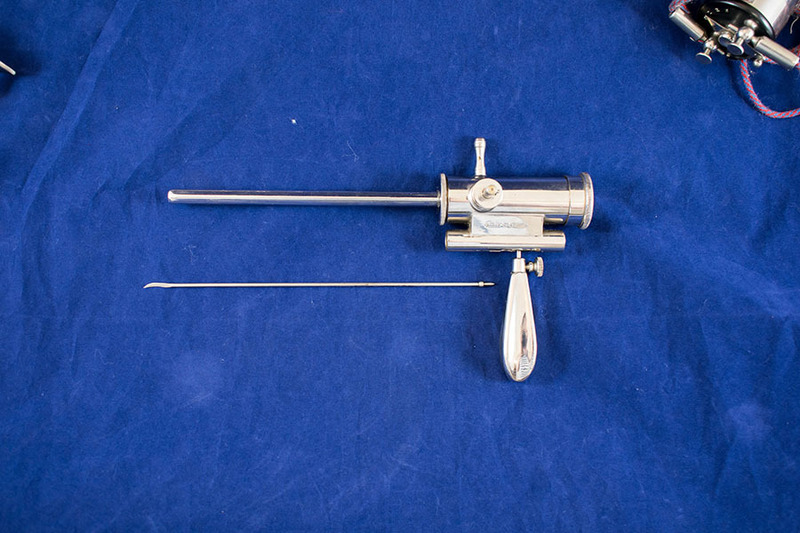 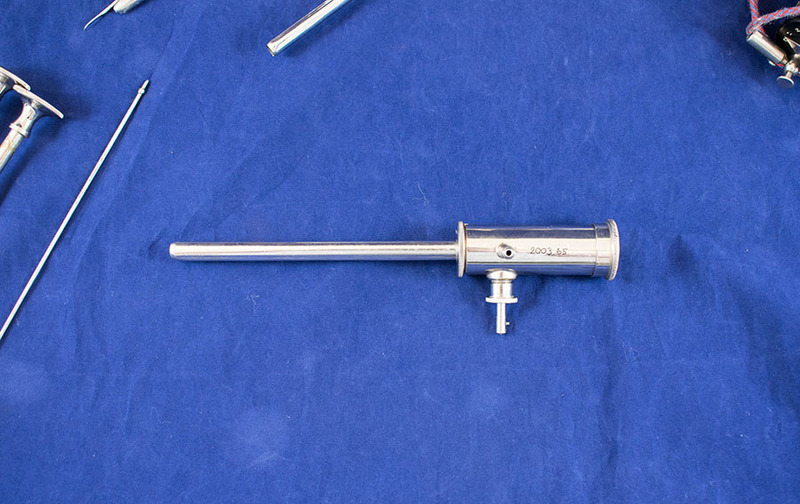 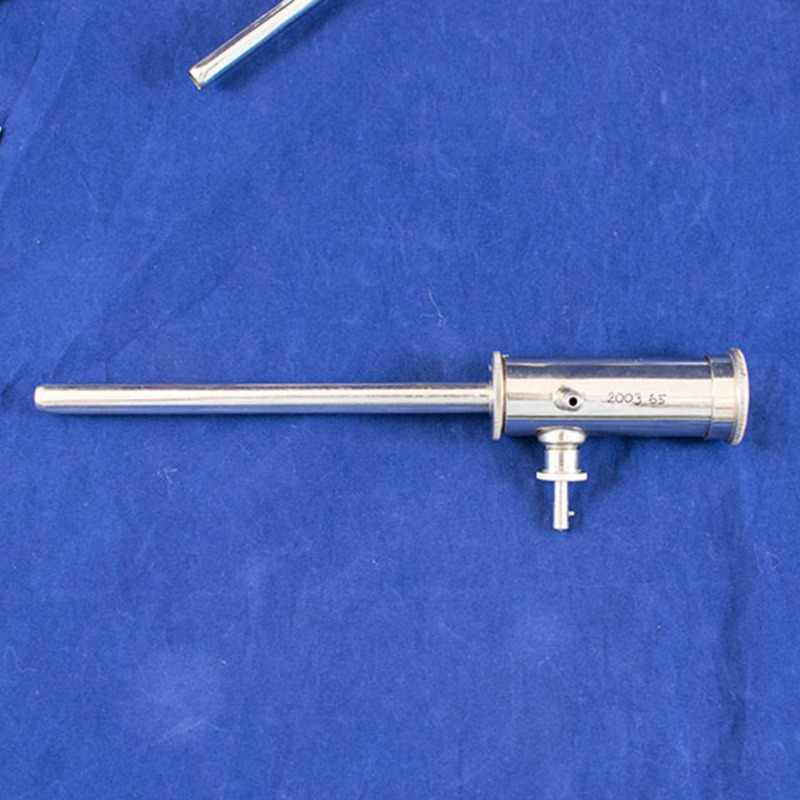 “The Holborn Operating Urethroscope,” Heritage, accessed April 24, 2019, https://heritage.rcpsg.ac.uk/items/show/672. 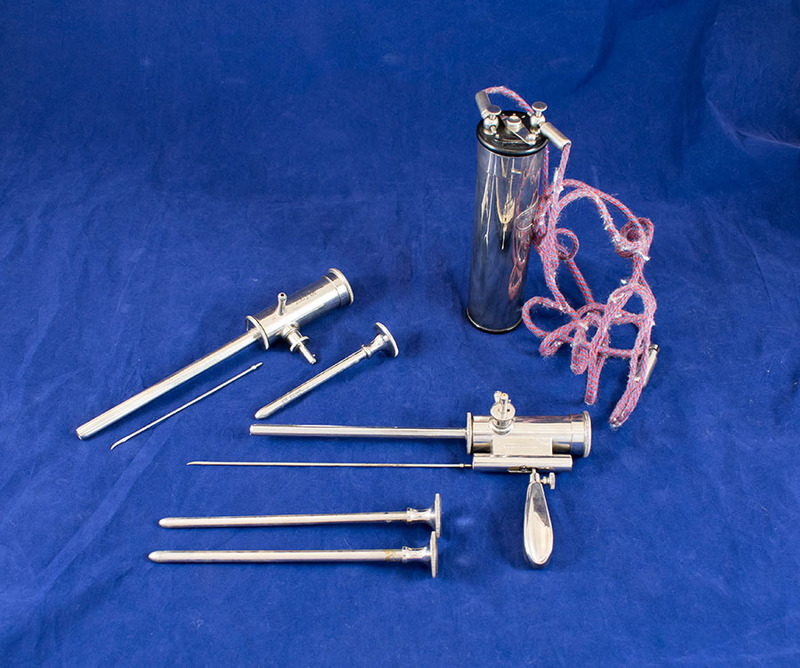 Description: Urethroscope in case with one operating urethroscope, one for examination, three obturators, two knives, and other smaller instruments.